Universities across Australia continue to embrace SMART Technologies, investing heavily in interactive technologies and new software across many faculties to creating truly innovative learning spaces. Many universities have used SMART for a very long time, and today are upgrading to the newest options in order to give their students and educators the best, most reliable and connected experiences possible. For instance, a South Australia university with responsibility for a large cohort of Pre-Service teachers recently rolled out 4500 SMART Learning Suite (SLS) licenses to their staff and students, as well as certified one of their IT Leads as a SMART Certified Trainer to ensure that the staff have an expert at hand and that students can benefit from his knowledge. In Queensland an entire Languages Faculty has been provided with new facilities including SMART interactive flat panels and the SMART Learning Suite. At a training session these language experts who were familiar with SMART Notebook were impressed with the range of learning options they now had with the SLS. As all students come to lectures with devices, being able to interact with those devices by sharing content, gaining feedback to key concepts and collaborating in virtual learning spaces enables new ways to engage students. These lecturers are keen to bring gamification to their learning designs to motivate their students in the language learning experience. In New South Wales, one university has also rolled out SLS licenses for students and staff in the Faculty of Education. This enables these students to develop digital content for teaching and learning which they can use in any school setting regardless of the school’s technology infrastructure. SMART is device agnostic and therefore the digital content and lessons the pre-service teachers develop can be utilized in their practicums. It will also enable these pre-service teachers to have tools for learning when they are employed in schools. Other NSW universities have embraced SMART within their Early Years Centres, creating innovative learning spaces while modelling best practices for teaching and the creation of early learning centres across the region. In Victoria universities have also standardized on SMART. As leading learning institutions, they have seen the development of SMART's collaborative tools aligning with their own learning philosophy. As universities look to design out the front of the room, creating an ecosystem that enables collaboration and interactivity anywhere and on any screen has never been easier. The recent release of the new Podium has also gained interest with many universities who are looking to implement this tool to enhance the capabilities of their lecturers. 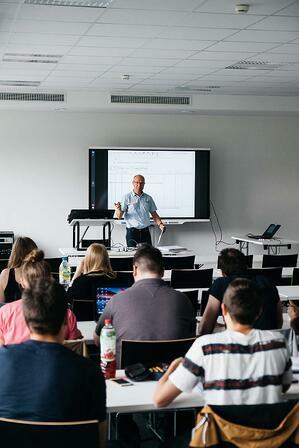 One highly reputable, higher-education institution outside of Melbourne has enabled dozens of their lecture hall theaters and large classrooms with the SMART Podiums. The small form-factor device is ideal for professors and educators who want to engage directly with their audiences, while also annotating within all file types. The video-out capability of the SMART Podium duplicates the image to any sized screen based on the dimensions and requirements of the learning space. Consistency across most lecture spaces ensures that professors have a consistent user experience where they can walk into any room, connect their computer, pick up a pen and without selecting any additional tools, proceed to annotate and interact with the desired content. 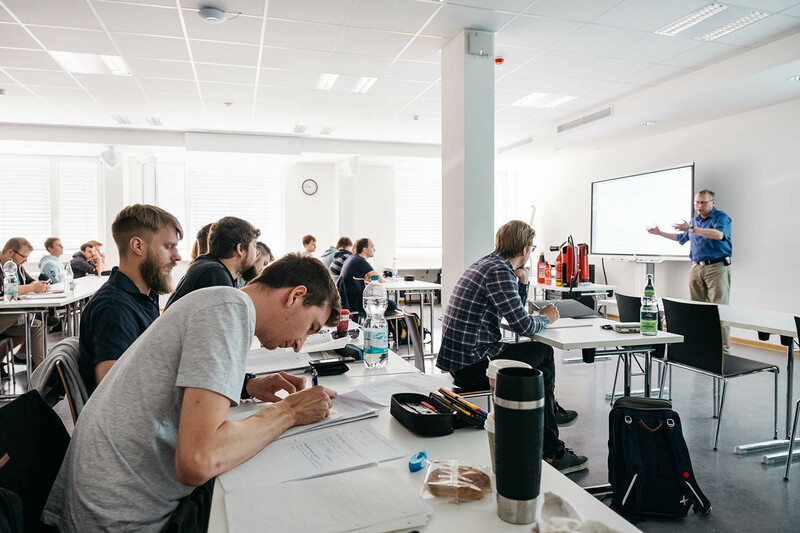 This seamless connectivity, and user experience ensures that time is spent on delivering the lecture, rather than the logistics of setting-up and configuring technology. The technology becomes transparent enhancing the lesson objective. SMART has had the privilege of working with this specific high-ed institution for over a decade. It is evident that as the Australian higher education sector continues to innovate and improve the learning opportunities for their students that SMART will continue to partner them on this learning journey.